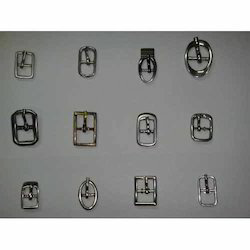 We manufacturer, exporter and supply Buckles and Metal Fittings in varied sizes and shapes. These are made from quality material with latest designs .They are made keeping in view every type of individual which makes them comfortable and perfectly suits them. These foot wear accessories are highly appreciated for its, dimensional accuracy, thicknesses and complete comfort. Under the guidance of team of professionals we fabricate Decorative Metal Fittings after exploring the latest market trends. These are available in a variety of dimensions and are known for their durability and high wear & tear resistance. These fittings undergo various levels of tests before dispatch. High quality Nug are used in our trims to enhance the beauty of footwear. Our clients can avail from us an extensive array of Stylish Buttons that are used to provide an attractive look to the shirts, jeans etc. 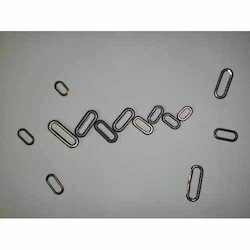 These are made using superior quality metal. They are well known for their salient features like long lasting finish, elite designs, longer life and high durability. Owning to their perfect finish and flawless looks make these buttons an ideal choice for all types of garments and dresses. Our ranges of these are available in varied sizes, designs, textures and finishes. 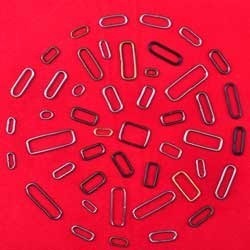 We offer a wide range of this Buckles and Fastenerswhich is available in various shapes, sizes, colors and finish depending upon their usage. We fabricate these using superior quality materials that are procured from reputed vendors across the globe with zero defects. These are used in various applications and highly demanded for their trendy appearance, fine polish and unique shapes. Clients can avail these in customized solutions as per their requirements and specifications. 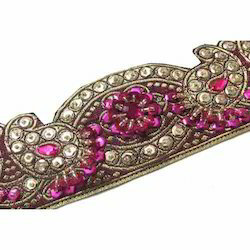 We are the prominent manufacturers and suppliers of a wide range of Decorative Kadii to our clients. They are made of best quality and are highly efficient. Clients can avail these in different sizes, shapes, dimensions and as per their own specifications. They are highly demanded for its features like dimensional accuracy, high strength, optimum quality and high performance. We also customize these items as per the specifications provided by our clients. We are engaged to offer Metal Rings to our customers at extensive range. These D and O Rings rings are available in different shapes and sizes. We manufacture and supply these rings to our customers at reasonable price. These rings are easily available in the market and provide reliable performance. These rings can be customized as per our requirement of the customers. 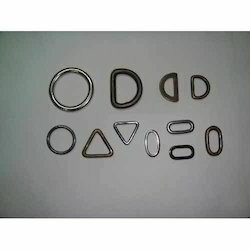 These Metal Rings or Kaddi are used in belts and as well as hand bags, and even shoes. These rings are very strong and provide excellent performance. 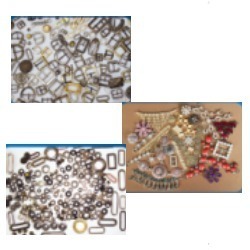 We manufacture and supply rings to our customers at normal price. These rings are made using latest technology and fulfill different demands of the clients. These rings are free from rust and easily available in the market. We supply a wide range of Metal Fittings attention-grabbing designs stylish look, matchless designs, unique accessories and durability. We fabricate and design these metal fittings using qualitative raw material. These are available in different sizes as per the requirements of our customers. 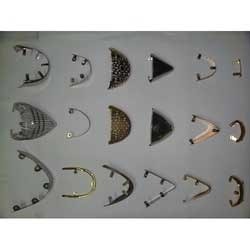 These metal fittings are extensively used in many industries purposes like footwear, and leather industry. Clients can avail from us these products at affordable price. We have gained vast expertise in offering a superior range of Toes and Counters which is available in enormous elegant designs, styles and sizes. These are made up of top quality materials and are carved by the skilled professionals. Our ranges of these are exclusively used in the shoe industry due to its reliability, corrosion resistance and durability. Clients can avail these at competitive prices. 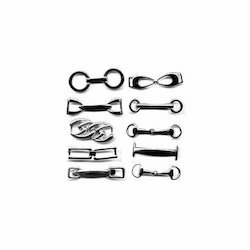 Looking for Buckles and Metal Fittings ?